The 1992 Framework Convention on Climate Change aims for “stabilization of greenhouse gas [GHG] concentrations in the atmosphere at a level that would prevent dangerous anthropogenic interference with the climate system” (UNFCCC 1992: Article 2). To achieve this objective, governments have agreed that climate change is a common but differentiated responsibility: all countries are responsible for doing something about climate change, but the affluent ones, which are the largest historical polluters of the atmosphere, are obligated to act first to reduce their emissions of GHGs before the developing countries are required to limit theirs. Diplomats heeded recommendations of philosophers and experts on international cooperation who saw international justice as essential to an effective and fair climate change regime. 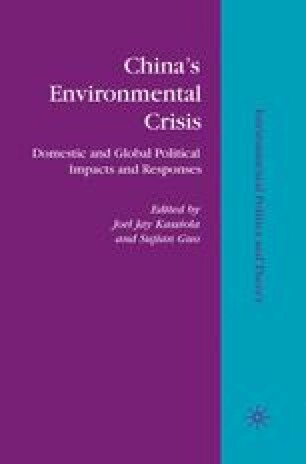 Some governments have started to act on their obligations, as reflected in recent efforts by some European states to limit their GHG emissions (Harris 2006; 2007b). However, these efforts have been tiny compared to what is required. Nearly every day we are confronted with news about the increasing impacts of global climate change. By any reasonable measure, anthropogenic interference with the atmospheric commons is already dangerous, contributing to environmental damage and human suffering, especially in the poorest parts of the world (IPCC 2007). China Daily. 2004. “China to Have 140 Million Cars by 2020,” China Daily, 4 September; http://www.chinadaily.com.cn/english/doc/2004-09/04/content_371641.htm. The Economist. 2005. “Cars in China: Dream Machines,” The Economist, 2 June 2005; http://www.economist.com/business/displaystory.cfm?story_id=4032842. Intergovernmental Panel on Climate Change (IPCC). 2007. Climate Change 2007: Synthesis Report, <http://www.ipcc.ch/ipccreports/ar4-syr.htm>. Netherlands Environmental Assessment Agency. 2007. “China Now No. 1 in CO2 Emissions; USA in Second Position,” Press Releases, June 19; http://www.mnp.nl/en/service/pressreleases/2007/20070619ChinanownolinCO2emissions USAinsecondposition.html. Nielson, Kai. 2003. “Cosmopolitanism,” presentation to the Institute for Ethics and Public Affairs, San Diego State University, November 18; http://ethics.sdsu.edu/Past-GlobalJustice.html. Sachs, Wolfgang. 2001. “EcoEquity Interview with Wolfgang Sachs,” EcoEquity Website, 18 May; http://www.ecoequity.org/ceo/ceo_3_4.htm. Singer, Peter. 2003. “Books for Breakfast,” transcript of remarks to the Carnegie Council on Ethics and International Affairs, October 29; http://cceia.org/viewMedia. php/prmTemplateID/8/prmID/164. United Nations Framework Convention on Climate Change (UNFCCC) 9 May 1992, 1771 UNTS 107; 31 ILM 849 (1992); http://unfccc.int/resource/docs/convkp/conveng.pdf.